Bizzy Becs Store Blog: Monkey Flowers! Hello everyone! 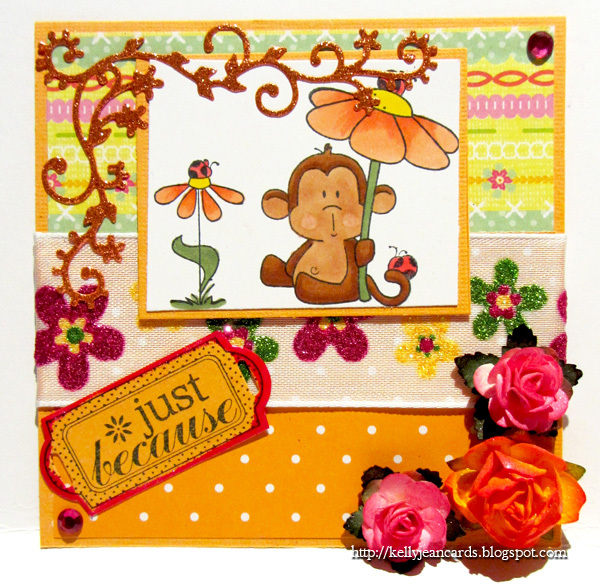 Kelly from the design team here to show you a card I have made with one of the cute stamps from C.C. Designs which I coloured with copics. My sentiment is part of the 'everyday sliders 1' set from Whimsy Stamps. Don't forget there is still plenty of time to join in on our 'stitching real or faux' challenge!